Korean Si Woo Kim defeated Jamie Lovemark and Wes Roach on the first playoff hole to record his first Web.Com Tour victory at the Stonebrae Classic in Hayward, CA as the countdown to the PGA Tour cards for 2015/16 starts to tick. Lismore’s Rhein Gibson finished in equal 6th place behind Kim at the scenic TPC Stonebrae layout and maintained his place just outside the Top 25 money earners who will earn cards when the Regular Season concludes at the Portland Open on August 30. Players missing the Top 25 in the Regular Season have the opportunity to compete for a further 25 cards over the Web.Com Tour Finals – an additional four tournaments combining the leading 75 money earners from the Web.Com Tour and PGA Tour members who rank 126-200 on the FedExCup points list following the Wyndham Championship. The job is not done for those in the Top 25 as performances over the Final Series will contribute to the final order of priority, which affects exemption status into PGA Tour events next season. 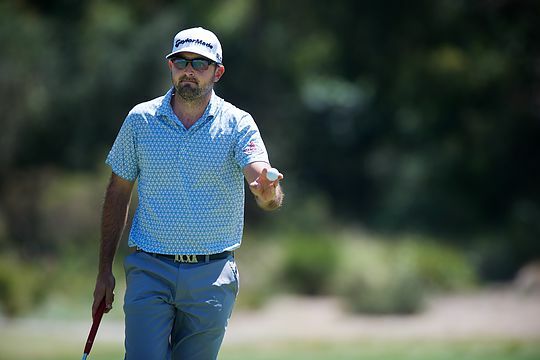 Following the Stonebrae Classic, Queensland’s Rod Pampling (10th) still leads the Australian charge ahead of Gibson (27th), Mathew Goggin (28th) Steven Allan (34th) and Oliver Goss (57th) with five events to run in the Regular Season. Bronson La’Cassie (78th) lies just outside the Top 75, while former PGA TOUR members James Nitties (90th), Aron Price (99th) and Alistair Presnell (114th) still have time to force their way into the Playoff Series.